My second game with the Nercons was slightly out of the ordinary, as I was the ringer for a private tournament I was holding for my friends before the Las Vegas Open. Since we ended up with an odd number of players, I was forced to use my Necrons, which was a pleasant surprise. Since this was a private event it also meant I was going to face a friend no matter who I ended up playing. So when random pairings were made I got to a chance to face my friend Adrian and his Orks. 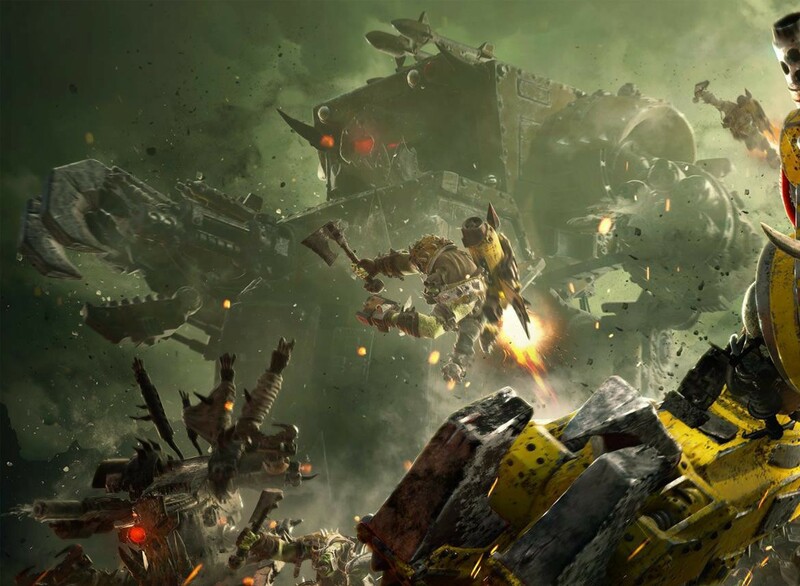 This would be my second time ever facing Orks in 8th edition and the first since the new codex had dropped. 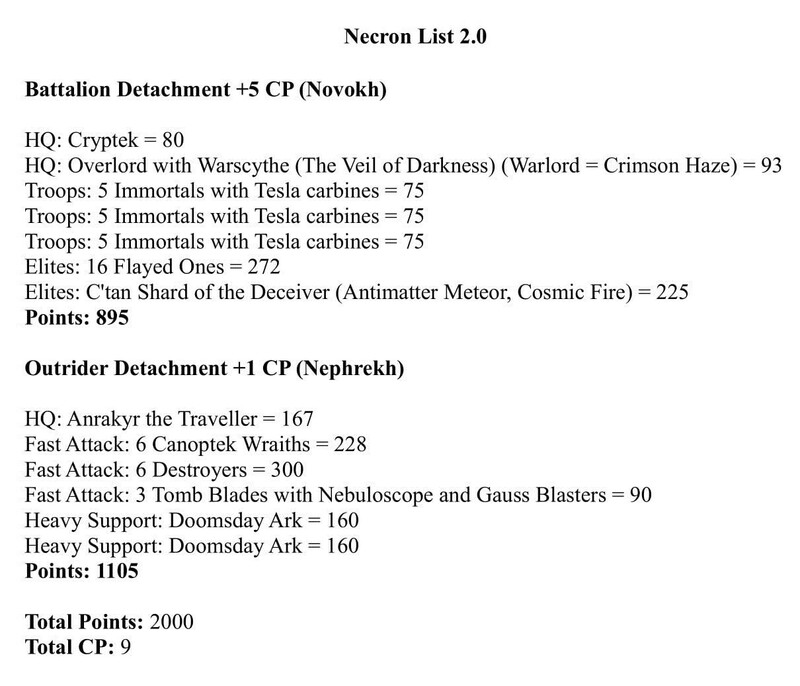 Safe to say I had no idea what to expect, though I felt I might had a chance because the Necron list I was using a few more competitive elements than normal. TACTICALLY— my strategy was simple, I had to leverage my Tesla shots by focusing on each Ork mob one a time, I also had protect against ‘Da Jump’, and lastly I had to keep my multi-wound units away from the Ork Lootas. It would also help if I got to go first as I assumed the Orks would be positioned aggressively. I lined up my Wraiths as far forward as possible, hoping to get the first turn, but also know I could re-deploy with the Deceiver if need be. I also wanted to use the Deceiver re-deploy to switch whatever units needed to not be in line of sight of the Ork Lootas. With the terrain as it was, Adrian had to pick one side for his Lootas, so he deployed them out of sight and in the most cover, but me made a minor mistake because he hedged the his Boyz to the other side making it really easy for me to avoid the Lootas almost entirely. All I had to do was wait and see if I could be aggressive with the Deceiver or not. LUCKILY I GOT FIRST TURN — I then used my 2 unit re-deploy to move a unit of Immortals and a Doomsday Ark to one side. I had also had my Destroyers in Deep Strike and decided to deploy the Flayed ones in the center to counter any Teleporting Orks in future rounds. With 1st turn secured I set about isolating Ork units and destroying them, my first target was Adrian’s Stormboyz which are a devastating unit that doesn’t need ‘Da Jump’ to get anywhere on the board. I lined up as many Tesla shots as I could and was able to kill just over half. Next I got the Wraiths into combat, Adrian had screened everything with Grots, but I was still able to engage both the Grots and the Stormboyz. I knew it was only a matter of time before the Wraiths would be overwhelmed but, if they could last at least until turn 3 they would have done there job. Ork Turn 1 saw him move up and surround the Wraiths, it was also the start of his terrible Lootas luck as he was only able to kill a few Flayed Ones. Necron Turn 2 had me bring down the Destroyers giving his Lootas a prime target. The Wraiths stilled lived but not for long as the following turn would see Ghaz crush them. 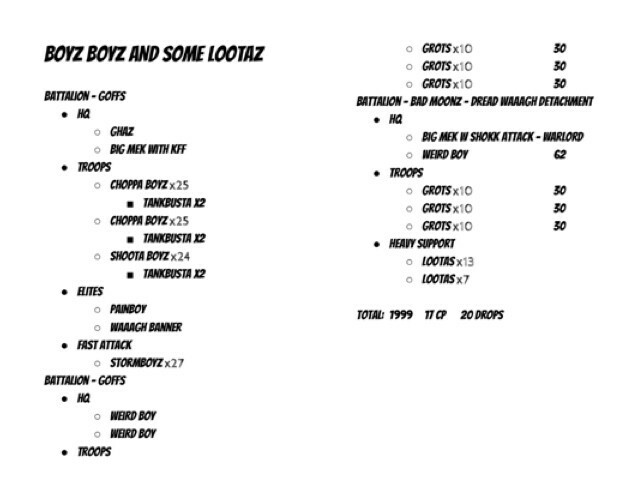 I whittle down another Boyz squad and killed more Grots. I was also able to kill a few Lootas with the Destroyers, but not as many as I would have liked thanks to Grot shielding. Ork Turn 2 saw him finish the Wraiths and moved everything to center of the board that he could and once again the Lootas didn’t do much of anything leaving my Destroyers to more rampaging. He did kill off an Immortal unit and brought the Deceiver down to a few wounds. Necron Turn 3 was a pivotal turn as my Destroyers were able to whittle down a Boyz unit and at the same time assault a Grot screen and then pile into the Lootas. I also had some “luck” as the Deceiver died to a mass of Boyz and characters, but not before bringing some Cosmic fire down on a ton of units. Immortals finished off the Stormboyz and the Flayed Ones moved up ready to counter charge anything that got through. Ork Turn 3 finally had the ‘Da Jump’ happen with Adrian bringing a mob into my backfield, unfortunately his only target was one unit of Immortals and Doomsday Arks. The Orks were able to get the Assault off and destroyed the Immortals, but little did the Orks know they were about to get 40 shots of Gauss Flayers the following turn. Necron Turn 4, I sent the Flayed Ones I was finally able to send the Flayed Ones into combat. They were able to dispatched a Boyz unit and a few Grot units, then piled into Ghaz along with a horde of Ork characters. Ork Turn 4 had the Orks frantically trying to hold the center with dwindling resources. A few Destroyers and Flayed Ones had died, but it wasn’t enough. The Orks used one last gambit, using Unstoppable Green Tide sending a wounded unit of Boyz back to full strength and again into my backfield. 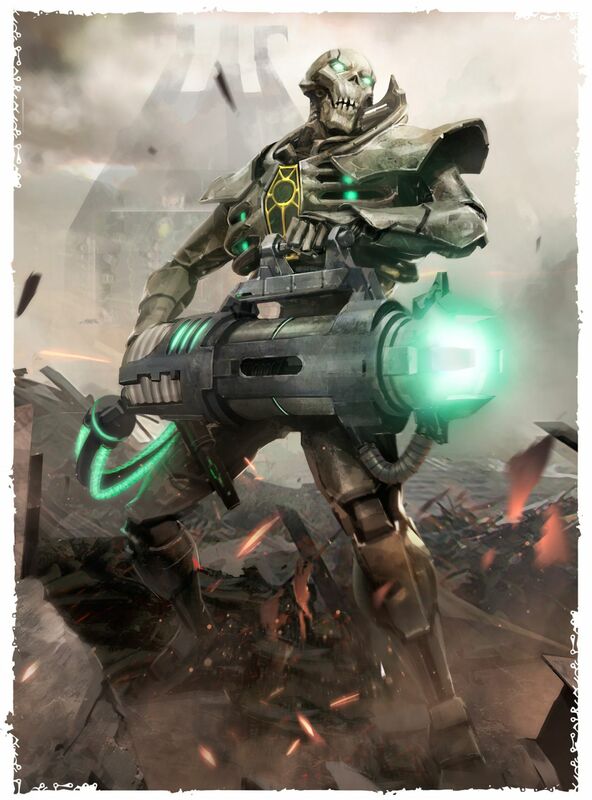 They were able to kill off my Tomb Blades, but on the Necron Turn I use Veil to return the favor and put my Warlord and his Immortals out of their reach and surprise the remaining Ork Lootas in the process. Turn 5 was when everything collapsed, the Flayed Ones refused to die and took down any Ork character caught in their claws. It was on my Turn 5 that it was mop up time, with the Doomsday Arks making work of the second backfield Ork unit and the Destroyers doing the same to a few remaining Grots and Ork characters. I won, against a fantastic army and tough list I hadn’t ever faced before, beyond Adrian’s poor Loota rolls there didn’t seem like dice really played much of a role in determining the game. I was glad to get the win and not get stuck on some losing streak with a new army. 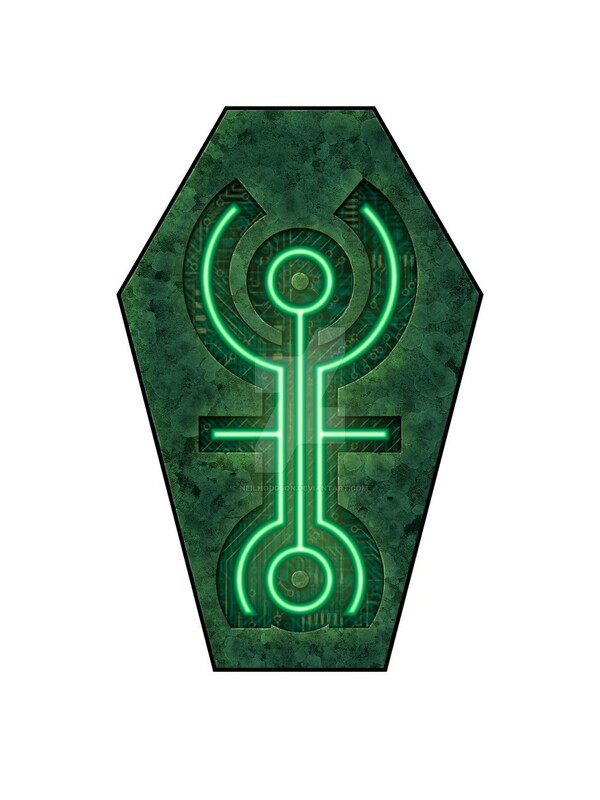 I did learn a few things, like for personal preferences I think one Doomsday Ark is enough for my play-style and of course Flayed Ones against lightly armoured targets is really devastating.